I have been contacted to review two teas by Hampstead Tea. A company that I have tried before a few times at cafe’s and food halls. Needless to say I am delighted to be reviewing for them, and yesterday my tea parcel arrived. Inside is a box of Organic Karma Chai teabags and a ready made bottle of Organic Oolong Tea with Elderflower. Both of these I have not tried before but one thing does strike me about them; and that is the word organic. I don’t think there are enough organic tea farms in the world and I fully support them. It makes a large difference to know where your tea comes from and how it is grown, especially for people with allergies. Looking for more information on their website I found an amazing story of how the company was created which also explains some of why they sell organic tea. I thought about cutting the story down into short but honestly you get a good feel from the whole thing so I will post it whole. Missing home one afternoon in July 1989, having just moved to London from India, Kiran took time off from mothering 2 little boys, and dropped in to the Tea board of India’s London office. There was the usual warm welcome and a flurry of tea cups, and in Rajah Banerjee walked, full of his infectious enthusiasm for his beloved Makaibari estate in Darjeeling. “No nasties in my soil” he declared, and his comments instantly resonated with her. She had been very concerned at the many “extra” ingredients in food, even baby food, full of E’s and sweeteners. Urging him to tell people about his vision of clean tea cultivation, he replied “YOU tell people if you feel so strongly about it”. The challenge was too good to resist and she launched into the world of tea growing (a huge change from being the strategic consultant! ), and organised for the estate to be certified organic Then came the big leap – biodynamic status for Makaibari – a first for tea estates. Biodynamic farming simply ensures that you put more in than you take out, and that animals, plants, people and soil all work together to create a forever living environment. Yet no tea estate had ever thought about going biodynamic before. So she packed 5 chests of Darjeeling leaf tea into paper bags in her kitchen and took them to shops, individuals and cafes around London. There was a bit of an uproar from some – “250gms of leaf tea..no one drinks leaf tea these days”. But others made space for the handfilled packs and a year later Hampstead Tea was awarded best in category at the Organic Food Awards, for the Darjeeling Whole Leaf Tea and it was presented by HRH Prince Charles. It’s an amazing story as I’m sure you will all agree. This makes me all the more proud to be trying two of their teas. Lets start with the Organic Oolong Tea with Elderflower. I don’t review pre made tea often but I must admit that I enjoy iced tea, it’s usually what I buy a bottle of when I’m out and about. The first thing that strikes me about this tea is the bottle, as it’s more of a carton really and is environmentally friendly and can easily be recycled. There is also a fairtrade logo on the front and the side information states that 94.7% is fairtrade which complies with current standards. Ingredients: Oolong tea (89%), sugar, elderflower infusion (2.5%) and lemon juice. The bottle is 330ml which is roughly 80 calories for the entire drink. As I open the bottle (which was nice and easy) I can smell the faint but sweet scent of elderflower. 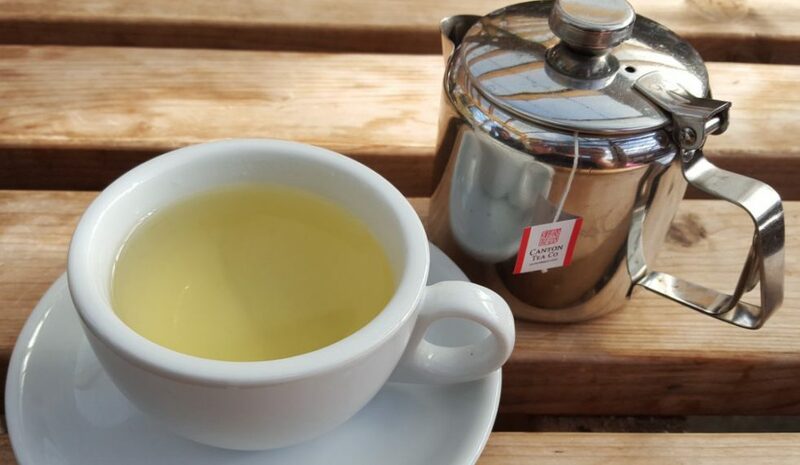 This tea tastes light, refreshing and sweet with a beautiful elderflower flavour. I also believe I can taste a touch of citrus from the lemon, something slightly crisp in the background. The Oolong is hard to detect but there is something green and slightly bitter in the background; but it’s perhaps a push to say I can taste it. For the most part the elderflower dominates and the sweetness lingers. This was very nice and easy to drink (and gulp) but I do wish I could taste more of the Oolong, something definable. The elderflower tastes beautiful and pure and leaves a long after taste in my mouth. I do adore elderflower! I can be picky with iced tea if it’s something I haven’t had before, or a brand I am unfamiliar with. They can be too sweet and sugary for me which is the main issue, as I try not to have any sugar in anything I have. Despite the sugar in this tea it is suited to the flavour and is not too sweet, in fact it rather compliments the elderflower. I can honestly admit that if I were to see a bottle of this in the fridge when I’m out of the house then I would happily buy it. The thing I noticed first about this tea is the super strong cinnamon scent that bursts through the packaging. I could actually smell it through the bubble mailer before I opened the packet. My friend even declared she could smell cinnamon from across the other side of the room, it is seriously that strong. I adore cinnamon so frankly I find the scent wonderful. The bags are individually packed into sachets which make it easy to take with you in your handbag. This is invaluable for people like me that take tea with them when they visit friends and family. Aside from the smell I like the design on the box and sachets, simple yet intricate and rather fetching. Herbal Chai takes it origins from India where an array of locally sourced exotic herbs and spices are folded together to produce a smooth infusion. Our caffeine free herbal Chai is soulful and uplifting. A moodful and enlightening blend. The back of the tea sachet states: “brew one sachet per person in freshly boiled water for up to 3 minutes”. A quick note before I steep this bag, it has a long cord to help stop the tag falling into the tea whilst steeping. A long tag is the way to my heart! Once steeped the tea makes an orange brown liquid that bares a heavy cinnamon scent to match the tea bags raw form. It reminds me of those red hot cinnamon sweets you can buy. In flavour this is also heavily cinnamon based but also has a refreshing tone which must be the clove and licorice. A few sips in and the ginger kicks in with a warm feeling. I’m thankful there is more depth in flavour than in scent, however the orange and lemongrass are undetectable, at least by me. Let me clarify: The first sips are spicy from the cinnamon but also have a refreshing tingle from the licorice and clove which lasts throughout the after taste. Further sips bring warmth from the ginger and also some dryness in the after taste. The overall medley is spicy and warm but with some sweetness and a nice, moderate strength. Considering this is a tea bag the ingredients taste fresh and stronger than I had anticipated. And at only £2.39 at the current price for 20 teabags that is very good value. I see there are two more flavours in the chai section that I may have to try in the future, especially from an organic company. The rest of these teabags are going into my car so I can enjoy them with friends and family.